Transaction Entry. If you modify the grid, you will have the ability to add a field that shows the Statement Number for each transaction. The transactions were entered into a case not eligible for patient statements. Open the case containing the transactions and make sure the field labeled Print Patient Statement is checked. If you are trying to create remainder statements, the transaction has not been paid and marked as complete for all responsible insurance carriers. You can quickly check which carriers have not yet paid on the Transaction Entry window. Highlight the charge in question and click the Charge tab at the top of the screen. There is a section labeled Amount Paid. If this section does not have a check mark next to all 3 insurance carriers, the charge will not appear on a remainder statement. Any carriers without a checkmark need to have a complete payment entered prior to that charge creating on a remainder statement. As stated in the introduction, adjustment entry is closely related to payment entry. When applying an EOB from an insurance carrier, you will not only create and apply payments, but you will also create and apply various types of adjustments. We will examine the types of adjustments that can be posted, and when each type should be used. Disallowed Amount Adjustment: Allowed amounts are defined as the amount insurance companies will base their compensation on. Disallowed amount adjustments are used to reduce the balance on charges that were billed at a rate higher than the allowed amount. If you are using Medisoft Advanced or Higher, this adjustment can be automatically calculated for you through the deposit list. If you are using Medisoft Original, or if you are applying your payments through Transaction Entry, you will need to manually calculate and enter this adjustment amount. The calculation used in determining the amount is (Billed Amount – Allowed Amount) x (-1). If your billed amount is lower than the allowed amount, it is definitely in your best interest to raise your prices. Withhold Adjustment: Withhold adjustments are used to decrease the AR total on a patient’s account due to money being withheld by the insurance carrier on a previous EOB. Insurance carriers may withhold money due to prior overpayments. These overpayments do not necessarily need are not necessarily going to be for the same patient(s). For this reason, withhold adjustments are often combined with takeback adjustments. Takeback Adjustment: Takeback adjustments are used to increase the AR total on a patient’s account due to money being withheld by the insurance carrier on a previous EOB. This type of adjustment is applied to the patient(s) who has charges that were overpaid by the insurance carrier. Takebacks are usually entered in conjunction with a withhold adjustment. Deductible: Deductible entries are used to move the responsibility for a particular charge to the next responsible party without lowering the AR total. If a charge has been applied to a deductible, the patient is responsible to pay for the charge. For this reason you do not want to change the AR amount. You simply want to make sure the charge shows up on the remainder statement. If you are applying a patient/guarantor payment, you will follow the same process listed above under Insurance Payment Application with one exception. You will not see a Complete box when applying patient/guarantor payments. The purpose of the complete box is to allow billing of the next responsible party. The patient/guarantor is the last responsible party. There is nobody to move the balance to. For this reason, there is no complete box on the Apply Payment to Charges screen. If you are applying a patient/guarantor co-payment, the most important thing to remember is to choose a co-payment code and not a regular payment code. When applying the patient/guarantor co-payment, a new button will appear called Apply To Co-pay. The Apply To Co-pay button will work similarly to the Apply To Oldest button. It will apply the co-payment to the oldest procedure code requiring a co-payment. In most cases, there should only be one procedure code requiring a co-payment, however if there was a missed co-pay for a previous visit, the Apply To Co-pay button will apply to the first record requiring a co-payment. You have the ability to enter notes specific to a certain transaction. When viewing the Transaction Entry screen with the default grid settings, the first field along the left side of the screen is the note indicator. This field appears blank if there is no note attached to the transaction. If there is a note attached to the transaction, you will see a sheet of paper occupying this field and indicating that a note is attached. If you would like to view or enter a note for a specific transaction, highlight that transaction and click the Note button. In the Type field you will need to select the type of note you wish to add. The type of note you select will depend on what you want to do with the note. If you want the note to appear on a patient statement, you would need to select the type labeled Statement Note. Once you have entered the Type, enter the note into the field labeled Documentation/Notes. When finished, click OK. If you are simply viewing a previously entered note, the screen will appear with the Type and Documentation/Notes displaying the previously entered values. Once you have configured your data entry screen, you are now ready to enter charges. In this section we will discuss the methods of entering and editing charges. We will focus on the fields that default into the grid. We will also focus on issues that can arise during the charge entry process. To help practices manage your charges, you are able to click on any of the Grid Headers to sort by that column. Medisoft will remember your sort preferences. We will begin our discussion with the process for entering or editing a single charge. This process can be repeated in order to enter or edit multiple charges. In order to enter charges, click the New button at the bottom of the charge portion of Transaction Entry. (The top data entry section.) You will see a new line appear in the charge section. Date: The Date field is the date of service for most charges. If you are entering a charge that requires a beginning and ending date, this field is where you would enter the beginning date. The Date field will default to the date listed in the lower right corner of the Medisoft screen. This date can be easily changed by clicking on the date. This will bring up the calendar. When you select a date, this will be the default transaction date for all new transactions. Procedure: This field is where you would enter the actual procedure code for the charge. This code should have been entered into the Procedure/Payment/Adjustment List. Only codes with the Type field set to one of the 5 charge types or Tax can be entered in this portion of the screen. In the flow of office procedures, this should be specified on the superbill that the provider fills out during the patient’s visit. Units: If multiple units of the same procedure were performed, enter the number of units in this field. After entering the Procedure Code, you may see that the units field automatically populate with a number. This is coming from the Default Units field of the procedure code setup. The Units field also corresponds directly to the Total field within Transaction Entry. Amount: When entering Amounts you are specifying the amount you would like to BILL to the patient or insurance carrier. It is important to note that this amount is not the same as the amount of money you expect to be paid. This is especially true when dealing with insurance carriers. Most carriers base their payments on Allowed Amounts. We will discuss what an allowed amount is later. Case – Price Code: Within the patient’s case, you entered a letter from A to Z into a field labeled Price Code which is located on the Account tab. Procedure Code – Charge Amounts: On the Procedure Code Setup screen, you will see a tab labeled Amounts. This tab contains fields labeled A through Z. These fields contain default charge amounts that can be sent to Transaction Entry when this procedure code is entered. The amount that is sent will be determined by the value entered in the Case – Price Code field. If you entered the letter A for the Price Code, the value entered into field A on the Charge Amounts tab will be sent as the default charge amount. You do have the ability to manually change any value that defaults into the Amount field. Total: You do not have the ability to manually change the value that appears in the Total field. This field will be the amount that is billed for this line item on a claim. The value that is displayed here is based on the numbers entered into the Units field and the Amount field, as well as a setting within Program Options. Within Program Options, if the field labeled Multiply units times amount on the Data Entry tab is checked, the Total field will contain the result of multiplying the Units by the amount. If the program option field is not checked, the Total field will contain the same amount that is entered in the Amount field. Diag 1 – 4: The Diag 1 – 4 fields are where you specify which diagnoses were identified during the patient’s visit. These codes will be identified on the superbill filled out by the provider during the patient’s visit. Within these fields you should enter ALL the diagnosis codes that were identified during the visit. These fields determine what will print in box 21 of a CMS-1500 form. 1-4: The fields labeled 1-4 are fields known as Diagnosis Pointers. These fields correspond directly to the Diag 1 – 4 fields. These fields indicate which of the diagnosis codes apply to this particular transaction. Place a check mark under the numbers that correspond with the correct applicable diagnosis codes entered in the Diag 1 – 4 fields. If you are entering multiple charges, it is critical that you enter exact same diagnosis codes in the exact same order in the Diag 1 – 4 fields. Failure to do so will cause the transactions to appear on different claims. If a diagnosis code doesn’t apply to a particular charge, simply uncheck the corresponding Pointer field. Additionally, if you change the diagnosis codes for a transaction that has been previously placed on a claim with other transactions, that transaction will be removed from the claim. Provider: The Provider field in transaction entry is where the attending provider (or provider who performed the procedure) is entered. This field will automatically populate with the provider who was entered into the case as the Assigned Provider. When you are creating claims for transactions entered, if you create based on Attending Provider, the claim will include provider information for the provider entered in this field within Transaction Entry. If you enter multiple transactions with different Attending Providers, pay attention to how claims are created. If you create based on Attending Provider, you will get a different claim for each different provider listed on eligible transactions. POS: POS stands for Place of Service. This field is used to specify where the service was performed. There are specific place of service codes that must be entered. A list of eligible codes is available in the Medisoft help file. You may also find information defaulting into this field. You have the ability to set default place of service codes both in the Procedure Code Setup, and the Program Options. TOS: TOS stands for Type of Service. Similar to the POS field, this field requires entry of one code from a list of specific type of service codes. 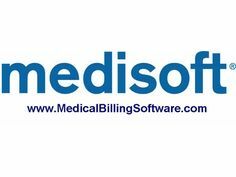 A list of eligible codes is available in the Medisoft help file. This field may also default a value. These defaults are set in the Procedure Code Setup screen. There is not a program option to default this value. Allowed: Allowed amounts are only required when an insurance carrier is responsible for a charge. This amount is used by the carrier to calculate the amount of compensation that will be made for that charge. See Allowed Amounts Handout. M1: The M1 field is used to enter modifiers. Modifiers give the insurance carrier more information regarding the charge. This can affect the amount of compensation. In some instances you will need more than one modifier. If this is the case, you will need to add the additional modifier fields to the grid. Once you have entered your transaction(s) including all pertinent information, click the Save Transactions button at the bottom of the transaction entry screen. If you want to edit a charge that has been previously entered, you simply need to make the necessary Chart, Case, Document, and Superbill number selections, and then editing the fields you need to change. Once you have made your changed, you will need to click the Save Transactions button.